I’m always short of enjoyable science fiction films to watch. I mean the older ones, like the alien attacks and giant monster movies of the 1950s. I like seeing how space travel was visualised before it started happening - a genre that’s now called 'retro-futuristic'. Planeta Bur fits the bill perfectly, but unlike Destination Moon, Forbidden Planet and This Island Earth, it's almost completely unknown. 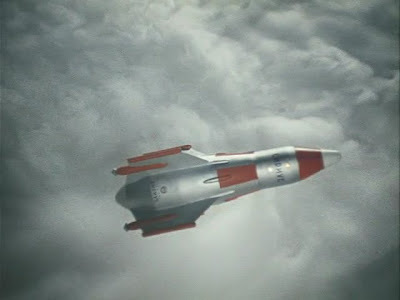 To find a film this rich in futuristic design, with a pacy storyline and even a half-decent budget, is a joy to see. 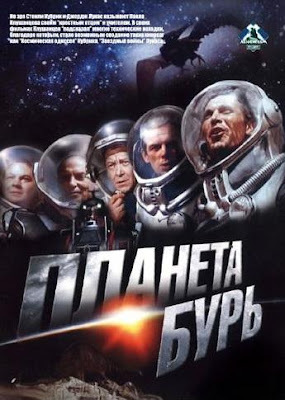 In the 1960s, the space race had two competitors, inspiring films in the USA and USSR, but the Russian films of this era have hardly been seen outside its borders. Planeta Bur is a fantastic example. A prediction of how space travel might look, spiced up with monsters, a huge robot and even the possibility of first contact with intelligent extraterrestrial life. We join Earth's first mission to Venus just as a disastrous meteor shower jeopardises the trip. The survivors head down to the surface, leaving the only woman cosmonaut in orbit. The crew get separated as they land, their exploring has to take second place to a rescue expedition. 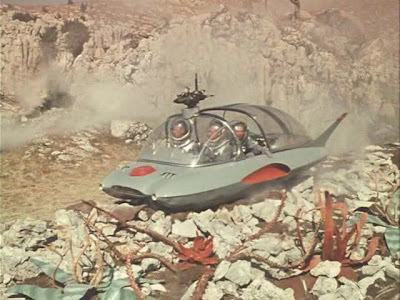 The impressive scale of the film, using many bleak locations representing Venusian landscapes, compares favorably to US and Europesn sci-fi of the time, as do the special effects. So much so, that Stanley Kubrick reportedly studied the director's space films when preparing 2001 - A Space Odyssey. Planeta Bur is refreshingly different from Hollywood cliche. The only woman is an able astronaut, rather than a object to be rescued or romanced. The robot isn't a character with a personality, but more like a truck or piece of machinery – indeed, years before Hal 2000, it's almost a liability to the mission. The many local monsters and dinosaurs aren't crafty calculating adversaries, just local colour. The story is about the mission. Besides the overly fantastic imaginings, the astronauts also philosophise about life beyond Earth, first contact with another alien race, whether Venus could once have had a civilisation many eons ago... all sorts of discoveries that space travel could possibly unlock. As it happens, almost all of their speculations come true during their brief expedition on the planet! Completely unlikely, but at least exciting the audiences with the prospect of what could be gained by such expeditions. All this and a super flying car too. The Russian DVD is from a reasonable but faded print - it’s a bit scratchy, slightly soft and presented 1.33 full frame. The colour is vibrant and the sound good, remixed into stereo and 5.1. The main drawback is the tiny English subtitles, very hard to read on all but the hugest screens – they’re not pefect translations and also miss out some lines of dialogue, but I’m happy this DVD exists at all. 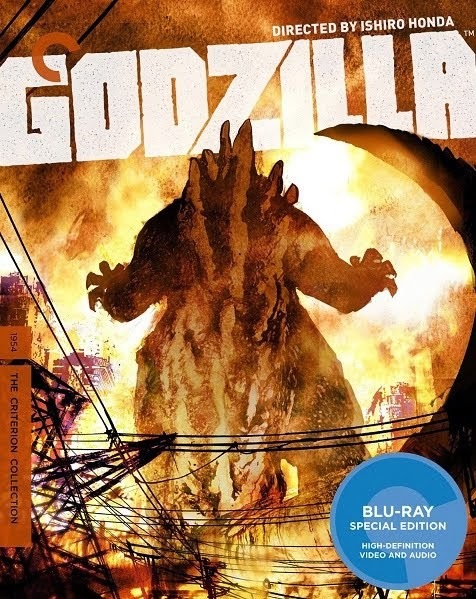 The extras are good and also have English subtitles. There’s a great documentary overview of the director, Pavel Klushantsev's other space films, featuring some astonishing clips of his visionary ‘documentaries’. He was a Russian equivalent of George Pal – weaving documentary with prediction and fantasy, but keeping the science as accurate as possible. His special effects are certainly a match for Pal’s technicians. There’s fantastic modelwork, made to look good by superior camerawork and seamless compositing. Like Pal, it’s designed to look like it would in real life. One of his earlier documentaries is included on the DVD, but more can currently be found on YouTube. Get the DVD of Planeta Bur at Diabolik DVD or from ArtPop. DVD Beaver have some more screenshots from the film and a review. 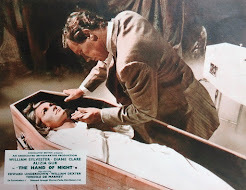 An indepth look at the making of the film was printed in Outre magazine, the sister publication to Filmfax, in issues 14 to 17, written by special effects wizard Robert Skotak. There was also an appreciation of Planeta Bur in the first Video Watchdog Special Edition back in 1991. 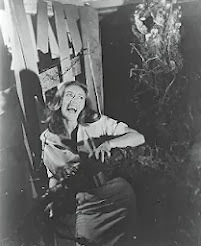 In the 12-page article, John Charles examined how it was bought by Roger Corman, who used the special effects sequences for Voyage to the Prehistoric Planet and its sequel. Extensive screenshots from Pavel Klushantsev's Road to the Stars can be found here on Astronautix.com. Road To The Stars itself can be seen here on RuTube. Mars and even Planeta Bur are also on RuTube but without subtitles. Tons more beautiful retro-future art here on these image-laden pages of Dark Roasted Blend. Yea, this looks great. I am going to try and get it. I do wish more Russian sci-fi from the space-race days was available. I have never seen any of it! This movie sounds great ~ excellent review! I will definitely look this one up ~ thanks for sharing! You should check out polish sci-fi Test Pilota Pirx. Not famous at all, but I think it should get more attention. This is a smashing film. 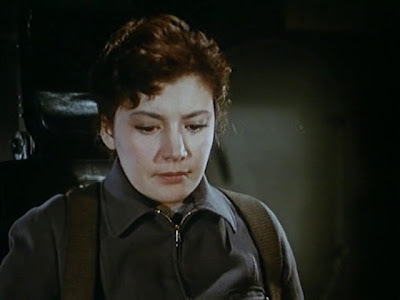 Like a lot of Soviet cinema it seems slow and talky but there's an 'otherness' about it that makes it compelling watching. Maybe it's because we (in 'The West') didn't get to see that much of it and we don't understand all the references and the style of film making is new to us but it's well worth seeking out.